Buy, Rent or Skip Young Guns II? 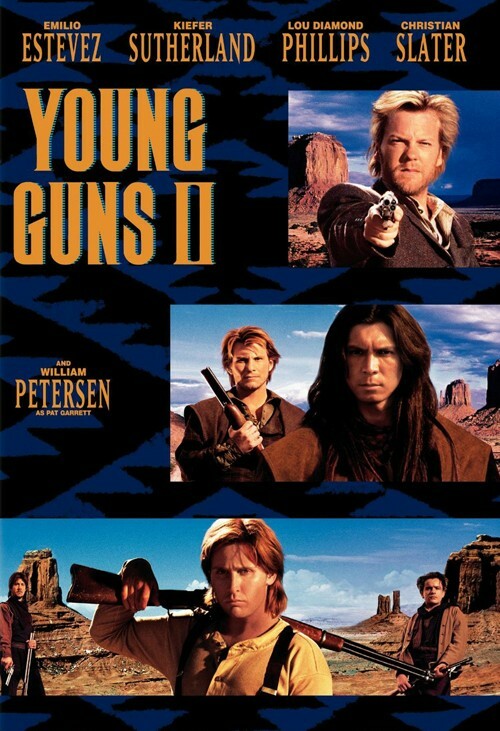 Young Guns II is not as good as Young Guns, but it's still a decent sequel. I haven't watched the sequel as much as the first one for sure and based on a few surprises in this one, it's clear that I haven't seen YGII in its entirety in probably 20 years. How do I know this? For starters, I remember the core cast consisting of Emilio Estevez, Kiefer Sutherland, Lou Diamond Phillips, Christian Slater, Alan Ruck, Balthazar Getty and William Petersen. It was seeing the likes of Scott Wilson, Robert Knepper and Viggo Mortensen that threw me for a loop. Didn't know who those 3 actors were at the time. Each one has since carved out a name for themselves since then. The first film's epilogue basically tells the audience what happened to Billy The Kid. Young Guns II is the epilogue in question. What makes this a worthy follow up is that the story is told from the point of view of Brushy Bill Roberts, a real person that claimed to be the one and only Billy The Kid. Worth a Rent.